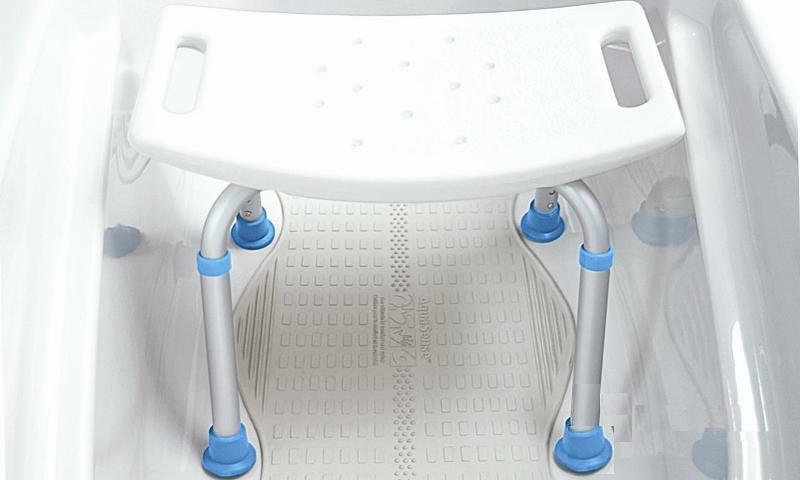 Provides comfort and safety while showering or bathing. Made from lightweight aluminum, with blow-molded plastic seat. Features a textured surface, large drainage holes and slip resistant rubber safety tips. Adjustable legs raise or lower seat height. 36 - 53 cm.